Home / Acting Man / Does the UK Need Even More Stimulus? AEP Speaks for Himself “We are all Keynesians now, so let’s get fiscal.” This is one view according to Ambrose Evans-Pritchard from The Telegraph who believes the time is right for the UK government to loosen its fiscal stance. Ambrose Evans-Pritchard is channeling JM Keynes these days (depicted above). Alternative media long regarded AEP as a rare exception in the mainstream press, willing to take on economic orthodoxy. We are happy to report that we had his number early on. First he outed himself as a monetarist and advocated money printing, and now he has apparently moved over to Keynesianism. Readers may want to review some earlier articles in this context: Parade of the Inflationists, Tapering Paranoia, and Anglo-Saxon Central Banking Socialism = Free Lunch. Photo credit: Keystone/DPA He suggests that the “Bank of England has done everything possible under the constraints of monetary orthodoxy to cushion the Brexit shock. It is now up to the British government to save the economy, and the sooner the better,” — argues the economics editor of The Telegraph. According to Ambrose Evans-Pritchard, monetary policy is close to its limits. “We are all Keynesians now, so let’s get fiscal.” This is one view according to Ambrose Evans-Pritchard from The Telegraph who believes the time is right for the UK government to loosen its fiscal stance. 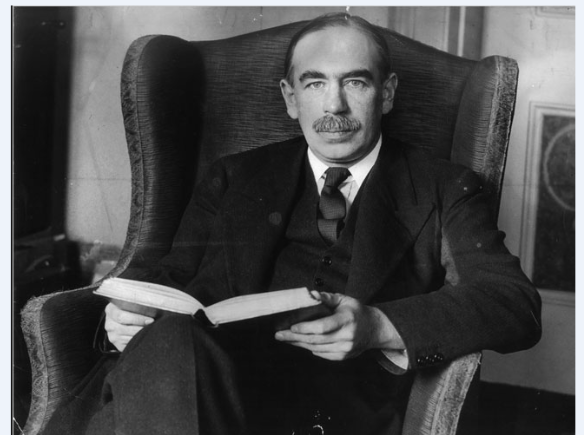 Ambrose Evans-Pritchard is channeling JM Keynes these days (depicted above). Alternative media long regarded AEP as a rare exception in the mainstream press, willing to take on economic orthodoxy. We are happy to report that we had his number early on. First he outed himself as a monetarist and advocated money printing, and now he has apparently moved over to Keynesianism. Readers may want to review some earlier articles in this context: Parade of the Inflationists, Tapering Paranoia, and Anglo-Saxon Central Banking Socialism = Free Lunch. He suggests that the “Bank of England has done everything possible under the constraints of monetary orthodoxy to cushion the Brexit shock. It is now up to the British government to save the economy, and the sooner the better,” — argues the economics editor of The Telegraph. According to Ambrose Evans-Pritchard, monetary policy is close to its limits. The Bank of England’s preemptive £170 billion stimulus package is brave — and unquestionably the right thing to do in these dramatic circumstances — however, given the present limitations of monetary policy he is of the view that only loose fiscal policy can address the shocks of Brexit. Now even if one were to accept that Brexit has caused a shock, is loose monetary policy the necessary remedy? What is needed to offset a shock is to boost the pool of real wealth. Printing more money never does it. A looser monetary stance only dilutes the pool of real wealth and weakens the process of wealth generation. So contrary to The Telegraph’s economics editor, the monetary pumping of the Bank of England is not a brave and necessary policy but rather — a policy that undermines the process of real wealth formation. To suggest that in order to save the UK economy the British government should lift its spending is to imply that the government is a wealth generating entity. In reality the projects that government undertakes are actually of a wealth consuming nature. The fact that the private sector does not undertake these projects indicates that they are of low priority to individuals. Beware of pyramid builders and ditch diggers… today the pyramids may be profitable tourism attractors, but at the time they were erected, they were surely very low on most people’s list of priorities. Their construction devoured enormous resources, with no discernible benefit to the people alive at the time; resources the Pharaos obtained at spear-point, as it were. The implementation of these projects is going to undermine the well-being of individuals, because they are funded at the expense of projects that are of a higher priority and would otherwise be undertaken in the private sector. Moreover, whenever wealth producers exchange their products with each other, the exchange is voluntary. Every producer exchanges goods in his possession for goods that he believes will raise his living standard. The crux of the matter is that the trade must be free. 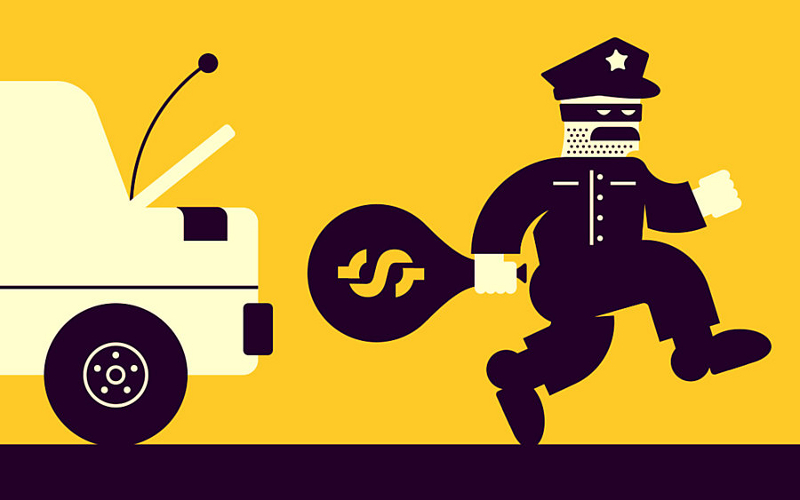 Government activities, however, are of a coercive nature; they are funded by forcing wealth producers to part with their wealth in exchange for less-desirable government services. Producers of wealth are forced to exchange more for less. Obviously this impairs their well-being. Government in the process of obtaining resources. Let’s assume that the government decides to build a pyramid and that most people regard this as a low priority. The people employed on this project must be given access to various goods and services to sustain their existence. Now, the government is not a wealth producer, so it has to impose taxes on wealth generators — those individuals who produce goods and services in accordance with consumers’ priorities — in order to fund the building of a pyramid. The more pyramid-building that the government undertakes, the more real wealth will be taken away from wealth generators. It follows that the level of tax — i.e., real wealth taken from the wealth-generating private sector — is directly determined by the size of government activities. If government activities could generate wealth, they would be self-funded and would not require any support from other wealth generators, and the issue of taxes would never arise. The essence of the previous analysis is not altered by the introduction of money. In the money economy, the government will tax and transfer the received money to various individuals who are employed directly or indirectly by the government. Government employees can now exchange taxed money for various goods and services and engage in the consumption of real wealth without making any contribution to the real wealth formation. The government can use various methods to divert wealth from wealth producers toward its activities. These methods — which can be summed up as “effective taxation” includes direct and indirect taxes and levies; borrowing from the private sector and monetary printing as a result of government borrowing from the central bank. However the method of diverting real wealth is of secondary importance. What matters here is that real wealth is diverted from wealth producers. The more that is diverted, the higher the effective tax imposed on the wealth-generating private sector is going to be. A superficial view could argue that borrowing from the private sector must not be regarded as taxation. However, when government borrows from the private sector, it cannot repay the borrowed real wealth. Only wealth producers who are borrowing from each other are in a position to repay from their future production of wealth. All that government can do is to pay back borrowed wealth by means of newly created money, or through new taxes, or through new borrowing, thereby further impoverishing wealth producers. Similarly, when government borrows from the central bank, it effectively causes the central bank to hand the government newly created money, which is employed to divert real wealth from the private sector. One could argue that government could also borrow overseas, thereby reducing the burden on the private sector. Since it is not a wealth generator, however, the burden of servicing the foreign debt will fall on the private sector. 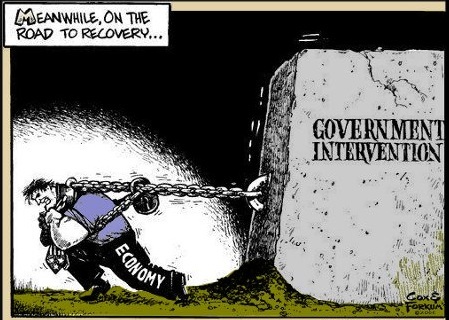 So how could the government help the economy? We suggest by actually cutting its outlays as much as possible thereby lowering the effective tax burden on the wealth generating private sector. With more wealth left at its disposal the private sector is likely to generate more wealth thereby strengthening the economy. We can only suggest that the UK (and any other economy) should maintain their Keynesian loose fiscal policies at a bare minimum in order to allow for healthy foundations for economic growth.